Before we discuss how to clean MMA Mats it’s probably best to describe what they are. MMA mats are used in gyms, garages, homes or even in offices to help you stay safe whilst practising MMA. The mats come in all shapes and sizes, but the key factor is that they prevent you from being hurt. Whether you’re practising BJJ, Jiu jitsu, MMA, Cardio or wrestling you will want to keep them in the best possible condition. We have all been in a gym or friend’s home during a training session thinking my god these mats stink! Now not wanting friends talking about you isn’t the main reason to clean MMA mats but it’s a good start. If this happened in an MMA club, then it could even lose members due to the uncleanliness of the MMA mats. It’s not just the smell you need to be worried about. Another good reason to make sure the MMA mats are clean is to stop the spread of infections. According to the Western Journal of Medicine, bacterial infection can cause many dermatologic conditions such as impetigo, erysipelas, folliculitis, and furunculosis. These infections can occur in MMA and Wrestling due to the close personal contact and direct contact with equipment, specifically MMA/ Wrestling mats. Now we can try and keep clean and choose who we practice with, but we can’t always choose the mats. Therefore, it is vitally important to always clean MMA mats regularly and thoroughly. So maybe have a quiet word with your friend or local club just to let them know the possible ramifications. Skin infections are not something to be taken lightly and can be prevented by simply taking the right precautions namely cleaning your MMA mats. Ringworm is also a major worry for anyone using MMA mats. Ringworm is transferred from outside onto the mats from anyone wearing shoes and lives there for up to two years. There are also aesthetic and phycological reasons for keeping your MMA mats clean. Have you ever noticed how much you prefer working out in a clean gym? You just feel better in a clean environment and you therefore achieve greater results. 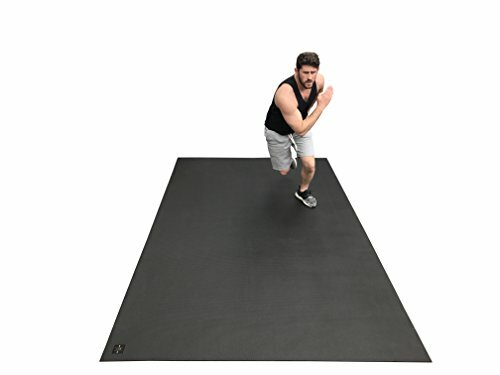 The types of material MMA mats are generally made of are a non-recycled, non-toxic high density closed cell EVA foam, non-absorbent PU leather with a high-density foam bottom layer or a natural rubber with non-toxic foam bottom layer. These mats will come with specific cleaning instructions and you should always follow the manufactures guide. However, it would be best to never use bleach or any strong chemicals as these may absorb through your skin. Bleach and other strong detergents stay in the air once used and may be breathed in a while after use. These are known to aggravate asthma attacks and may possibly be linked to some chronic lung conditions. If you must use chemicals, please make sure you dilute these and keep the building well aired. Also when using a stronger chemicals always wear a mask. How to clean MMA Mats properly, we would suggest a more organic natural product such as White vinegar or apple cider vinegar diluted with water. The cleaning benefits of organic vinegar have been passed down from generation to generation. It would seem however in modern day with easy access to very strong detergent it has been forgotten. I know what you’re thinking, I don’t wont to my Gi’s to smell of vinegar every time I train. Trust us the smell dissipates very soon after use and all is left is a clean disinfected mat. Using organic apple cider vinegar to clean will also help the environment especially if you purchase a glass bottle. First of all before you apply any disinfectant natural or otherwise it would be best to vacuum or brush the mats with a micro fiber brush. This will remove any surface dust and prepare the mat for the deep clean. Use 3 parts water to one part measure of vinegar, for best result mix in an empty spray bottle and spray this lightly over your mat. Finally leave to dry and its done a clean disinfected mat ready for anything or anyone you throw at it. Most of all do not to allow dirt from shoes worn outside onto the Mat also and never train anywhere that does. In Addition other natural options are Pine oil, T tree oil and other Vinegar’s such as white wine although this will need more diluting as it is quite strong. Now you know how to clean MMA Mats, do you need a new MMA Mat? In conclusion, keep MMA mats clean using the right products which are not harmful and they will keep good for years. Since you now know how to clean MMA Mats you should have no further problems. If however you’ve left your MMA mat far too long and its past its sell by date. Hence it might be time to replace it. Has it also been walked over it too many times in shoes or it’s just seen better days? We know its hard to say goodbye to something that has been so close to you over the years but sometimes you just need to let go. Throw it in the bin and start afresh, get yourself a shiny new Mat with EVA foam and extra shock absorbance and this time keep it clean. They range in price from the low end just below $50 to over $300 depending on your need. Ideal for the garage, home, or office, soft and hard so excellent for BJJ or jui jitsu ground work. These mats stay together and do exactly what they are made to do which is protect you. Very easy to fit and move from room to room due to be very lightweight. These mats are some of the best on the market and will improve your game in know time.